MALAYSIA’S pioneering role in the development of Islamic banking and finance has gained worldwide recognition. The public’s demand to have an Islamic commercial bank offering Islamic banking products and services continued until a commercial Islamic bank was set up in 1983, licensed as Bank Islam Malaysia Bhd (BIMB) under the Islamic Banking Act (IBA) 1983. To allow BIMB to stabilise its standing in the banking environment, Bank Negara Malaysia (BNM) granted it a 10-year exclusivity to operate as the sole Islamic bank in the country. In the same year, Government Investment Certificates were issued under the Government Funding Act 1983 to support liquidity management in BIMB’s operation. A year later, the first Islamic insurance company was established under the name Syarikat Takaful Malaysia Bhd and regulated by the Takaful Act 1984. In 1990, another historic development was that Malaysia became the first country to issue sukuk (Islamic bonds) with a modest issue size of RM125 million by Shell MDS Sdn Bhd. As the 10-year exclusivity granted to BIMB expired in 1993, BNM offered the first three licences in an interest-free scheme, namely Skim Perbankan Tanpa Faedah (SPTF) to Maybank, UMBC and Bank Bumiputra Malaysia Bhd. This scheme allowed the conventional banks to open Islamic banking windows, and the number of banks participating in SPTF grew tremendously. When the number of players increased, liquidity management became the main hurdle. To solve this issue, the Islamic Interbank Money Market was launched in 1994 by the Malay-sian government, the first of its kind in the world. The main problems that faced the SPTF banking scheme were fund management and regulatory issues, since the conventional banks were governed under the Banking and Financial Institutions Act 1989 while full fledged Islamic banks were under the IBA 1983. 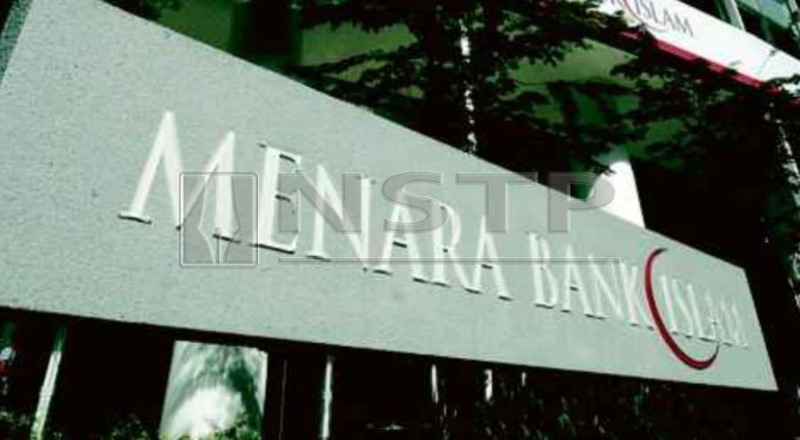 Consequently, starting from 2005, Bank Negara called upon the conventional banks to open Islamic windows as their Islamic subsidiaries, licensed under the IBA 1983. Since then, almost all local banks set up their own Islamic subsidiaries except for a few international banks such as Citibank and United Overseas Bank. In the same year, the central bank also issued licences to international Islamic banking institutions to compete with local Islamic financial institutions (IFIs). The first bank having such a licence was Kuwait Finance House followed by Al-Rajhi Bank. To create a holistic ecosystem for Islamic banking and finance in the country, the regulator also set up a few entities to cater for research and human capital development. These include the International Centre for Education in Islamic Finance that was set up in 2005, the Islamic Banking and Finance Institute Malaysia in 2007, the International Shariah Research Academy and the Asian Institute of Finance in 2008. Malaysia also hosted the Islamic Financial Services Board in 2002 to develop the Islamic finance agenda. Another initiative was the introduction of Syariah Governance Framework in 2011 aimed at strengthening syariah supervision in the system in mainly four areas which are syariah advisory, syariah review, syariah audit, and syariah research. This paved the way, in turn, for a more extensive revamp of Islamic banking institutions under the Islamic Financial Services Act (IFSA) 2013. IFSA was designed to create a better governance structure and parallel playing field for both Islamic and conventional banking in the country. In this journey, hiccups that arose along the growth path of Islamic banking and finance (IBF) were also addressed by remedial measures. Indeed, even before the enactment of IFSA 2013, many amendments were made to existing laws and regulations to accommodate the needs of IBF operations in the country. In 2017, Malaysia marked another milestone through the introduction of the strategic intermediation concept, namely Value-Based Intermediation (VBI). According to BMM, statistics on the development of IBF in Malaysia showed unparalleled growth in the Islamic banking market share and its annual growth rate. Islamic financial institutions are thus urged to explore new strategies to maintain growth and sustainability through active participation in the VBI agenda. VBI requires the IFIs to develop innovative Islamic financial products and services that contribute to social well being, the environment and the economy since VBI focuses on the 3Ps, namely people, planet and profit. Under this concept, the performance of IFIs as intermediaries in the financial system operation will be assessed not only from their financial performances but also non-financial aspects such as engagement and impact on the three areas just mentioned. The Sadaqa House product that was launched by Bank Islam in January 2018 is a good example of this approach. This concept actually reflects the higher goals (maqsad) of the Islamic economic system, which is social justice. IAIS Malaysia played a key role in this initiative. Malaysia has evidently succeeded in positioning itself a world leader in IBF, thanks to the active participation and support of the government and BNM. Yet the journey is not over. Our next instalment looks at some of the IFIs products that have come under criticism.